Why hire a Virtual Administrator? Virtual Administrator services is a growing service throughout all levels of business but why?? Your desk is piled high with paperwork that needs electronically filling, your drawer is filled to the brim with business cards from networking events and your email box is ready to quit on you it is so full of unread emails, yet the thought of having to research and advertise for an assistant brings you out in a cold sweat. That is where a Virtual Administrator comes in, they take care of all these jobs plus more and the best bit is you only pay for the time they work, no need to clock how many minutes they waste on cigarettes breaks or how long their lunch break is. Virtual Administrators are a growing trend not only in the small business arena but also in the large corporation world, with many employers turning to the ease of hiring a Virtual Administrator rather than wasting time and money advertising through agencies. Virtual Administrators can take care of any aspect of administration from screening and sorting your e-mails on a daily basis to managing projects that you do not have time to handle. Every Virtual Administrator can research the life out of anything, has a professional demeanour in which to handle your correspondence with and some can even handle your taxes helping you save even more money. 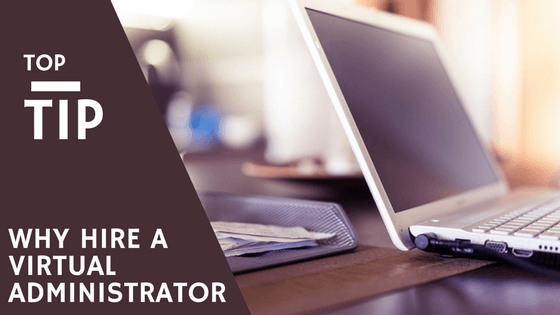 Whether it is a one-off job while your regular PA is off ill, or you are a small business needing someone who loves paperwork to handle the tedious tasks you despise, a Virtual Administrator is the life saver for it all. Virtual Administrators are ‘on-call’ for when you need them, yet are not hovering in the office filing their nails waiting for the work and charging you for it. If you are just setting up a business but do not have the time to deal with the creation of records, setting up social media and websites then a Virtual Administrator can help with that too, you do not have to be an established business to hire a Virtual Administrator. RedRite can help a business at any stage in its development, supporting it as it grows and making sure each step is as smooth as can be. Stop putting off getting everything sorted and hire someone who makes their living do so, Virtual Administrators love their jobs and it reflects in the quality of work you will receive. For more information and to see how a Virtual Administrator can help you contact us today!